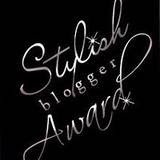 I am so thrilled to have been given 2 blogger awards ..
from Clare... "my gorgeous pommie gal"
from Cathy .... "my gorgeous Aussie gal"
1. my family mean the world to me .. each of them are unique and I love that..
2. I was born in a country town ..Naracoorte and I moved to Adelaide in 1970. 3. I am a "LITTLE BIT" addicted to CHOCOLATE !!!!! 5. I love watching butterflies. 7. I love gardening and all the different sounds of nature. 8. I love walking bare feet in wet beach sand. 9. I love the sound of laughter especially children having innocent fun. 10.I knitted my first jumper whan I was 5 years of age .. 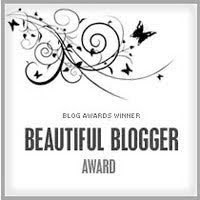 I am passing this award on to 10 of my "scrappy blogger" friends .. I never thought I would love blogging so much ????? Thanks so much Heather. I love your comments and I certainly love visiting your world. I loved reading about you. Can I add, you sound very happy and content...And I didn't know you were a twin!! Heather, you are too sweet thank you so much!!! I agree blogging is addictive!!! Oh Heather! You are such a wonderful person. It was so nice getting to know you a little bit more. Thanks so so much for the award! I appreciate it very much. Oh thank you so much Heather, you don't know how much this means to me right now :) I love coming to visit your blog & always love reading your comments on mine...you are a real sweetie! Walking bare foot in the sand is a love of mine too, I love listening to the surf. Ahhhh! Thanks very much Heather!!!! YOU are such a sweetie...... Congrats on receiving 2 Blog awards! !